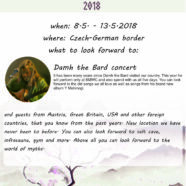 It has been many years since Damh the Bard visited our country. This year he will perform only at BMWC and also spend with us all five days. You can look forward to the old songs we all love as well as songs from his brand new album Y Mabinogi. 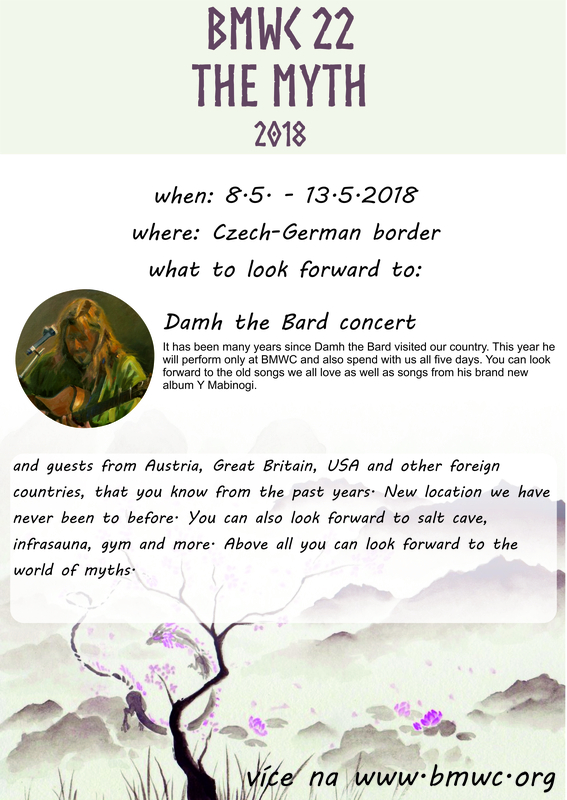 and guests from Austria, Great Britain, USA and other foreign countries, that you know from the past years. New location we have never been to before. You can also look forward to salt cave, infrasauna, gym and more. Above all you can look forward to the world of myths.